The British Empire was the largest empire the world has ever known and the city of London was the world’s biggest global financial center. For over 300 years Britain ruled the lands conquered by its armies, but eventually everything started to fall apart as one by one these countries declared their independence. This meant that the City of London was on the verge of destruction and British elites saw their wealth and privileges in danger. The value of the pound decreased because financiers withdrew their money from Britain. Unwilling to succumb to poverty the elite searched for new sources and they found it in finances. Britain then transformed from an outdated colonial power into a modern financial power. In the early 1960s a new financial space began to emerge far away from London. British accountants and lawyers arrived on the Cayman Islands and other dependencies and began to elaborate a set of financial secrecy laws and regulations while the Bank of England observed from a distance. By 1997 nearly 90% of all international loans were made through this new market. The City of London has been called a state within a state. It is run by a private organization called The City of London Corporation. This organization performs all the functions of a local council with a private police force and private courts. It’s a separate entity within London. This curious status has been around for a long time and it’s exempt from numerous laws that govern the rest of the country. The Bank of England stands at the heart of The City of London. The Bank of England is not just a central bank; it’s also a financial regulator. When the British Empire ceased to exist, it used its regulatory authority to try to attract the world’s banks to London. There are currently more banks in London than in any other financial center, and this is partly because London became a place where banks could engage in businesses that would not be allowed elsewhere. 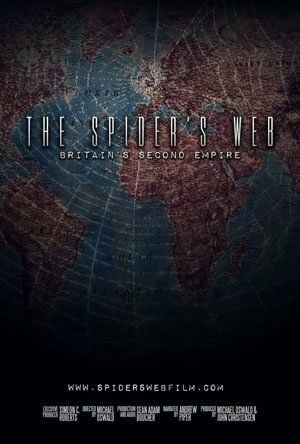 At the end of the British Empire, a created a web of secret jurisdictions were created that captured wealth from across the globe and hid it in a web of offshore islands that then redirected it to London. Today, Britain and its dependencies are the largest global players in the world of international finance. Watch this film now.